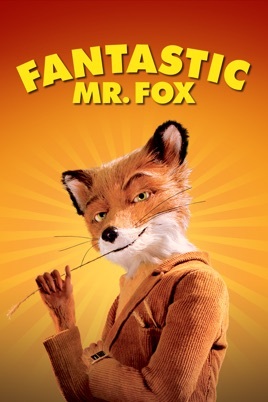 Fantastic Mr. Fox is a lovely to look at, fun to watch and enjoyable time at an animated movie. Based on a story from Roald Dahl, Fantastic Mr. Fox blends the best of Dahl with the traits of Wes Anderson in a wonderful mishmash of styles. George Clooney voices the lead character, Mr. Fox, who is a proud “wild animal” that gives up his life of chicken stealing when he discovers that his wife, Mrs. Fox (Meryl Streep) is pregnant with his first child. After years of a dull, domesticated life, Mr. Fox feels the pull of his life of crime once more when he discovers three big time farmers just begging to be pilfered. Many of Anderson’s normal crew is involved in voicing characters in this animated classic, including Bill Murray, Owen Wilson, Willem Dafoe and Eric Chase Anderson. The animation style is great in the stop action animation style. The herky-jerky style showed an even more artistic flair from the director, who insisted on the film not being too finished in the animation. There is a lot going on in this story besides the apparent midlife crisis of Mr. Fox. The film deals with the relationships between parents and children as well as the jealousy that can develop between family members. Mr. Fox’s son Ash (Jason Schwartzman) was not an athlete like his father no matter what he did, but his cousin Kristofferson (Eric Chase Anderson) was a natural and created a ton of tension inside Ash. Some of the bits in Fantastic Mr. Fox are extremely funny and entertaining. They show the wit of Wes Anderson very well without completely losing the darkness of Roald Dahl. Fantastic Mr. Fox is a fine film that the entire family can enjoy. The movie is not just for kids despite the fact that they will probably enjoy watching it.